What a way to finish of 2016 with IFSEC India. Thanks to all that visited our stand to make this another successful show. Thanks for everyone who visited us at AusRAIL in Adelaide. 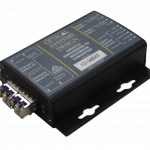 It was great to see the interest in the new Optical Data Link Module (ODLM). 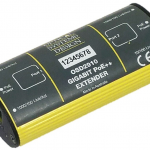 The OSD2910 is a miniature mid-span PoE++ Gigabit Ethernet Extender which is designed to operate from -20 to +75degC and will support up to 60W PoE. Please click here for more info. OSD is pleased to report a great response at AusRail PLUS 2015 in Melbourne. Of particular interest were OSD’s new Optical DLM and Park Signalling’s new SSI Tech Terminal. Finally to round off a busy year from 10-12 December OSD will be at IFSEC India, Pragati Maidan, New Delhi. We hope to see you at Stand C306. Visit here for additional information on the exhibition.